In midst of a flat market, major forces affecting the automotive ecosystem today include the changing nature of competition, advances in digital technology, and increasingly empowered consumers. To embrace these forces, automotive retailers will need to consider new retail models and update a distribution channel that hasn't changed significantly in the past century. With these market changes at play, it is critical that auto dealerships innovate upon the way they interact with and retain their customers. 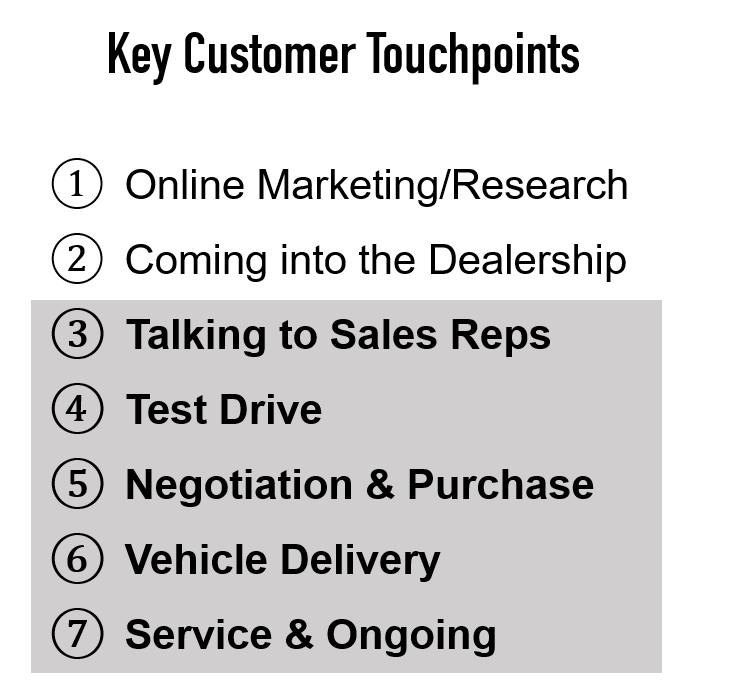 Customers are doing the bulk of their research before they enter the door, forcing dealerships to move to a consultative selling model: instead of haggling on price, reps develop a relationship with the customer, and the customer interacts with only one person from start to finish, without inefficient handovers. Customers should walk away from a test drive feeling as the car is already theirs. Transitioning your sales force from being simply transaction based to those of customer advisers, by both training them on the soft skills but also incentivizing them on the right metrics to make the transition, will be key to staying competitive. Gamification can facilitate this transition, providing missions to strengthen skills, leaderboards for healthy competition, and training to incentivize behaviors like scheduling service before the customer walks through the door.